Mercedes revealed "a chunk of the floor" was missing in Lewis Hamilton's Mercedes after he finished second in Melbourne. 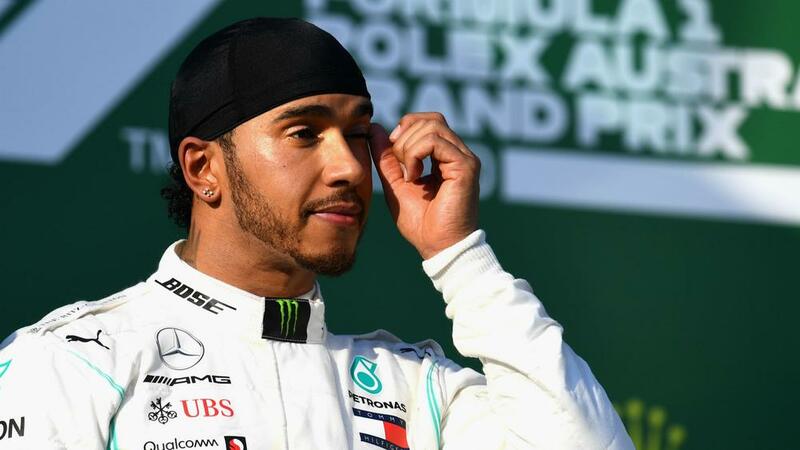 Lewis Hamilton had to contend with damage to the floor of his Mercedes at the Australian Grand Prix but the world champion declared he "didn't do a good enough job" after finishing second. Hamilton had to settle for the second step of the podium after Valtteri Bottas got off to a flying start to pass his pole-sitting team-mate and went on to start the season with a victory. Mercedes revealed Hamilton's W10 would need to be repaired after the Silver Arrows bagged maximum points on Sunday. "We have discovered damage to Lewis' floor in the area just in front of the left-rear tire. There is a chunk of the floor missing, but we are not 100 percent sure why yet." the constructors' champions tweeted. The Brit offered a frank assessment of his performance at Albert Park. "Ultimately I didn't do a good enough job," he said. "Once we got through the first corner, it was pretty much done and dusted, so it was about bringing the car home and bagging the points really. Naturally I had to pit a lot earlier, so I had a long, long stint, so I just drove super, super under par to try and make sure I had tires left at the end of the race." The five-time world champion added: "[It was an] incredible weekend for the team. "We bagged some good points, got maximum, maximum points, so can't really complain."